100th rant! AND 1 year of Ranter Works! 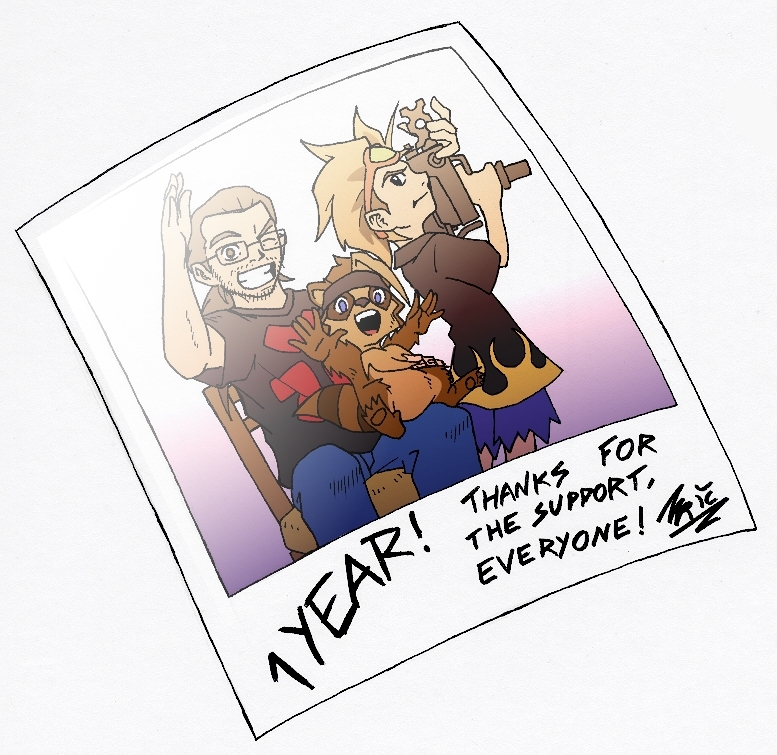 And as if uploading the 100th comic strip wasn’t enough… Today is Ranter Works’ first aniversary! One year… DAMN, looks like yesterday! While here on the blog it doesn’t look like much has changed, go look at the Rants’ comment section! This place is starting to have a community of it’s own! And to everyone who follows my work and hasn’t left a comment yet: DON’T BE SHY! HOWEVER… Don’t think the surprises are over! There’s still a lot to come, till the end of the year, so stay tuned, and let’s hope this place lasts for one more year! This entry was posted on Monday, December 20th, 2010 at 11:03 PM and is filed under News. You can follow any responses to this entry through the RSS 2.0 feed. You can leave a response, or trackback from your own site. 2 Responses to 100th rant! AND 1 year of Ranter Works!